It is a nootropic and neuroprotective agent used for the purpose of oiding neurological recovery following acute brain ischemia and subsequent cerebral infarction. 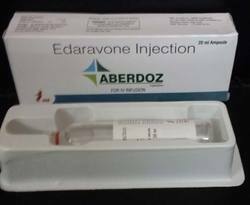 Edaravone alleviate the neurological symptoms due to acute cerebral infarction and to improve routine activity and ability. Edaravone reduces cerebral edema and cerebral infarction and lowers lipid-peroxidation induced neuronal death and subsequent oxidative stress of endothelial cells of the brain. 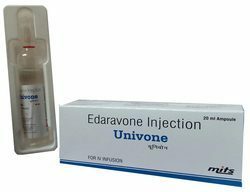 Looking for Edaravone Injection ?